Take your soccer abilities to the next level with this exciting camp. Gaining a leading edge on the soccer field requires continual improvement of skills. 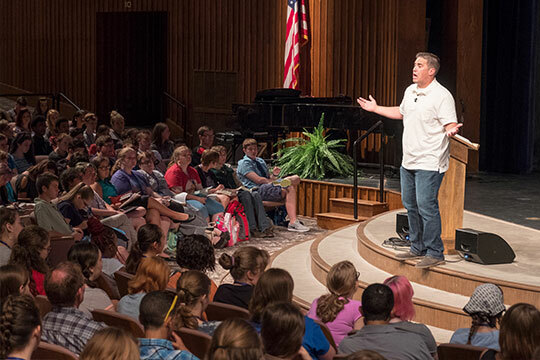 Youth Outreach Ministry Soccer Camp provides thorough training in an uplifting Christian environment to help you reach your potential. Led by the Pensacola Christian College Eagles coaching staff, this soccer camp emphasizes personal skill development and Christian sportsmanship to apply now and throughout your future soccer endeavors. Daily soccer exercises and training include offense/defense skill building, juggling, passing, trapping, and shooting, with skills put to the test in daily scrimmage games. Take your abilities to the next level. Competition in small field games and full field scrimmages will challenge you as you strive for a spot on the camp All-Star teams. Awards are presented to competition winners, as well as to the top juggler, best offensive player, best defensive player, and Hustle Award winner. All participants receive a certificate. Learn how to develop your shooting, passing, trapping and a variety of other skills applicable to all players. Improve those skills through fun and challenging drills and competitions. Apply these new skills in competition with and against new friends and teammates. Compete for a chance to win a number of awards and a spot on the Camp All-Star team. Soccer Camp is held on PCC’s Eagle Field, home to the Eagles intercollegiate soccer team. Regulation-size secondary fields will also be used to provide space for scrimmages. For every six campers that a school sends to our sports camps, one coach from that school may attend the camp for only the $60 Registration Fee and will stay with the campers (additional coaches pay coach fee). A coach must accompany each team attending Soccer Camp. Coach Joe Liwosz graduated from Pensacola Christian College in 2012. He returned in 2016 to be the assistant coach for the Eagles Soccer Team. 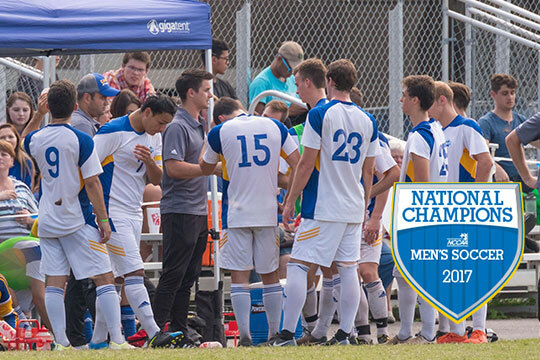 In 2017, he was named the head coach, and the Eagles Soccer team was able to secure their first-ever National Title in a historical second season. Coach Liwosz’s desire for Soccer Camp is to be able to have an influence in the lives of the student-athletes that attend. Just like with his Eagles players, his goal is to help develop these young men into successful soccer players and to help them become productive, influential Christian leaders in their churches and chosen future careers.